The scene outside of the president’s office at Wakefield University was becoming chaotic. About a hundred curious onlookers had gathered in the surrounding area, attracted by the sudden appearance of police cars, emergency vehicles and news vans. The growing crowd presented a genuine problem for police because it didn’t take much to block Boston’s historic, but painfully narrow streets. Adding to the confusion, several reporters were attempting to feed simultaneous live shots to their respective television stations. A shocking event had just been discovered. There had been a murder at Wakefield University. Wakefield was just one of the many schools that competed for students and resources within metropolitan Boston. A medium sized school, its campus was situated in close proximity to several world-class academic institutions, but, in spite of its larger and wealthier counterparts, Wakefield consistently maintained a position of prominence. This was due in part to its prime Beacon Hill location, which sat elegantly on the edge of Boston’s business and political centers. Unfortunately, Wakefield was equally renowned for its controversial administration, headed by President Peter Kingston. Journalists from all of the local media outlets were there to cover this unfolding story, drawn by reports of a violent death in the president’s office, and the simple fact that anything related to Wakefield University was big news in Boston. Peter Kingston was a high profile presence in a city that, in spite of its status as the state’s capital, had the ethos of a small town. Of the many reporters on site, one local TV correspondent, Courtney Kallin, would garner, by far, the largest audience. At barely five feet tall, with short, wispy brown hair and about a size zero, Courtney was far from a commanding presence. In spite of her fragile appearance, through a combination of innate talent and force of will, she had become the dominant investigative reporter in Boston. Courtney was, as it happens, also a graduate of Wakefield. Although personally sympathetic to Peter Kingston, Courtney was, in no way, in the tank for him, and with her usual tenacity, began her report ignoring a policeman’s repeated admonitions to move away from the building. It was unseasonably warm for an early morning in June, and Courtney had decided to opt for comfort over fashion. She removed the jacket of her well-tailored suit and passed it off to a nearby sound technician who, in turn, handed her a mike that had the station logo prominently displayed. Courtney raised the mike and faced the camera to offer what was known, thus far, about the incident. “I’m standing outside President Peter Kingston’s office at Wakefield University. The police are here in response to a reported shooting inside this building, and, off the record, I’ve been told that there has, in fact, been a murder,” she said, gesturing toward the huge, double mahogany doors behind her. “But, so far, the Boston police won’t officially confirm or deny that a murder has taken place. The Wakefield campus police, however, did confirm that there’s been a death and that they’ve activated the campus alert system, sending students a text message to avoid the area. They also told me that while this death is the result of a shooting, it appears to be an isolated incident and, at this point, there isn’t any evidence of a larger threat. Although, as I look up and down the street, I definitely see signs of heightened security, as the police seem to be methodically searching all of the buildings in the immediate area. A task, that I imagine has been made slightly easier, because the majority of students have left for the summer. “I have to wonder if this incident isn’t related, somehow, to the recent press reports about corruption at Wakefield. Yesterday’s front-page story in the Boston Examiner certainly made some troubling allegations. We’ll have to wait and see if this death is connected to those stories or not,” she said, stopping for emphasis, “but everything I’ve seen over the past few years tells me that the Kingston administration operates at best like a dysfunctional family, and at worst like organized crime.” As she confidently spoke what she believed to be the plain truth, the words, “Jesus, Courtney!” came through her earpiece so loudly that she actually winced. In spite of her producer’s obvious disapproval of her editorial remark, Courtney remained unfazed. The in-studio anchor, knowing that Courtney had a long-standing professional relationship with Wakefield’s president, asked if she’d spoken to Kingston about the allegations. “Yes, Peter Kingston and I spoke over the weekend and he denied any wrongdoing, but refused to comment further at that time.” She didn’t mention that she was the one who had called Kingston to tell him about the impending article, or that he had promised her an exclusive interview. For all she knew at this point, Peter Kingston could have been dead. 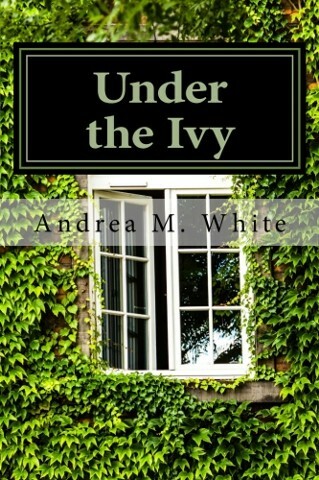 If he was still alive, she’d press for that, now, even more prized, interview, but she’d keep all of that to herself until she found out just what had happened within Wakefield’s ivy covered walls. “That’s all I have right now, but I’ll be back with an update as soon as I get more information,” she said, before ending her report with, “this is Courtney Kallin, Channel Four News.” Courtney finally and reluctantly conceded her territory to the officer. She stepped away from the entrance to the president’s office, but not moving so far away, as to miss any of the action. As Courtney glanced back, in the direction of the building, she was struck by both its imposing presence and the beauty of its architecture. Not unlike the other major universities in Boston, Wakefield owned more than its share of the city’s luxury real estate, a prime example being the president’s office, itself, which was housed in one of the most exquisite buildings in Boston’s West End. Designed as a residence for a wealthy merchant in the nineteenth century, it was not really well suited for use as a modern office. As such, the staff housed in this building was fairly small, with just the president, his assistant, two vice presidents and a few secretaries working within its brick facade. It was centered between two adjacent buildings that were also owned by the university. These buildings housed the offices of admissions, academic affairs, and financial aid. While the external appearance of these buildings was similar, the president’s office was distinguished from the others by its large bay windows and stately marble columns at the entryway. At that moment, however, Wakefield University bore little resemblance to a staid bastion of learning. Inside the president’s office, the police and medical examiner grimly surveyed the loss of life and evidence of murder before them. Outside, Courtney Kallin was grilling the departing EMTs about what they’d just observed. She would, as was so often the case, be the first to get the story, which in this instance meant the identity of the murder victim. One week ago, as the campus had joyfully looked forward to graduation, few would have predicted that such a thing would happen here. Some might have seen it coming if they hadn’t been so invested in containing, rather than stopping, the resident campus villain, Vice President for Financial Affairs, Jack Doyle.